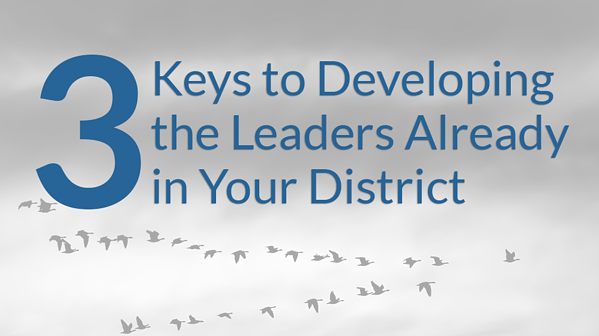 Colonial School District conquered the thorny problem of recruitment and retention by turning to those best prepared to lead: their teachers. At Colonial School District, we’ve been focused on retaining teachers by offering them leadership development opportunities for a few years. In 2017, we were fortunate enough to win an E3 grant to expand and enrich that work. Here are a few lessons we’ve learned along the way that may help you retain your best teachers—or even turn them into your best leaders. 1) Leverage a diversity of approaches and perspectives. Recruiting and retaining the best educators is a big challenge. To make sure we’re doing everything we can to attract them and keep them around, we take a variety of approaches. Our Supporting Teacher Effectiveness Project (STEP) focuses on teacher leadership and aspiring leaders. Another group worked on creating a strategic recruitment plan. The Colonial Educator Institute is a program we have specifically for teachers in their third and fourth years in the classroom, and our instructional leadership teams hold weekly meetings to develop their skills. Bringing together all those groups to work on various aspects of the problem not only led to the variety of approaches we expected, it also meant that we had a variety of perspectives represented, from teachers still working in the classroom to seasoned administrative veterans. That range of perspectives offers a diversity of insights and possible solutions to explore. The old writing adage of “show, don’t tell” works for leadership development, too. As part of our program, we’ve recently begun using Insight ADVANCE’s observation tools. Video of our teachers allows us to show them what they’re doing well and where they need focus. Now we’re using it to record our principals, instructional coaches, and anyone else involved in leadership development as they provide coaching to the future leaders they’re working with. We don’t have to tell them that every professional can look for ways to improve. We don’t have to tell them that video recordings and coaching are non-evaluative and designed to be constructive. Our leaders show them every time they use these tools themselves. 3) Let your teachers teach each other. Some of our teachers in specialized areas wanted to get feedback from other educators with expertise in their specific content areas. That’s a great idea, of course, and would be the norm in an ideal world. But, as an example, in our real world we only have one music teacher at most schools. Physically moving those teachers around the district to observe their peers is costly and impractical, but with video observations we are able to provide them with specialized knowledge and feedback from teachers familiar with their specialty. We look forward to using Insight ADVANCE to take this idea from a concept to a reality. Developing excellent school leaders isn’t easy, but by embracing diversity in your approach and your team, it’s possible to tap the leadership capacity you have right now to develop even greater capacity for the future. 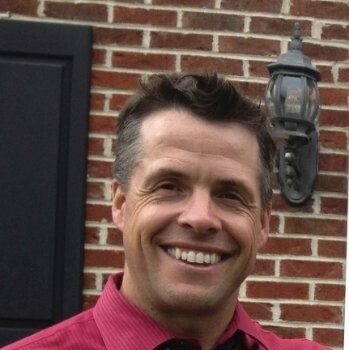 Peter Leida is an assistant superintendent at Colonial School District in Delaware. He has 20 years of experience in K–12 education and holds a doctorate of education with a focus on educational leadership from Nova Southeastern University. He tweets via @PeteLeida.